Make This Japanese Style Spring Card! 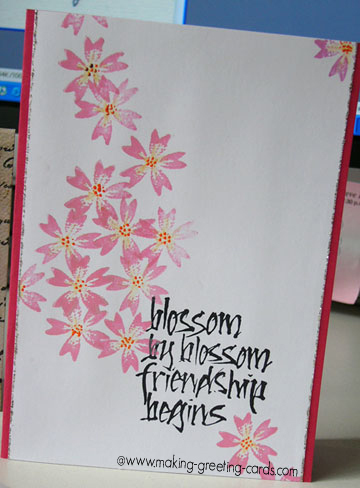 This Japanese style spring card is quite easy to make. You'll be very happy with the result. And it's definitely a beautiful friendship greeting card to send to a girl friend. Just follow the step by step instructions below and you should be able to have it done in less than half an hour. Or at most, an hour. Try it! I'm sure you'll enjoy making this card. 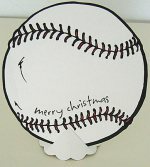 And the following list of materials needed for making this card is just below. So start gathering the materials now and have fun. 2. 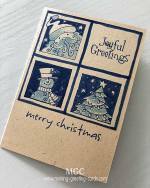 Ink message stamp with black pigment ink and stamp on the right bottom of card. 3. Using a orange gel pen, make some dots on the centre of each flowers. 4. 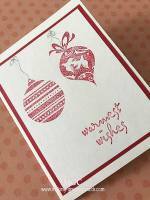 Apply glitter glue to the left and right edge of white card-stock. 5. 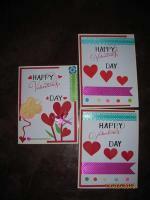 Glue white card to shocking pink colour card. If you don't have the required stamps like the blossom image and the message stamp: 'Blossom by blossom friendship begins', just substitute with another floral image and saying.